True story – Gardeners know that feeding the weeds only starves the flowers. Yes, please pardon the grotesque colloquialism. Sanders’ history is one replete with unlearned failure, poor workmanship, and simply doing everything wrong. Yet he is a sitting United States Senator. Is he just lucky? Hillary Clinton is a loud prevaricating nuisance, and a curse for anyone who knows or works for her. She is a liar and criminal as already proven going back only as far as the email server she hid in her basement, and likely a more devious scoundrel who has had so many very ‘unlucky friends’ over the last several decades. 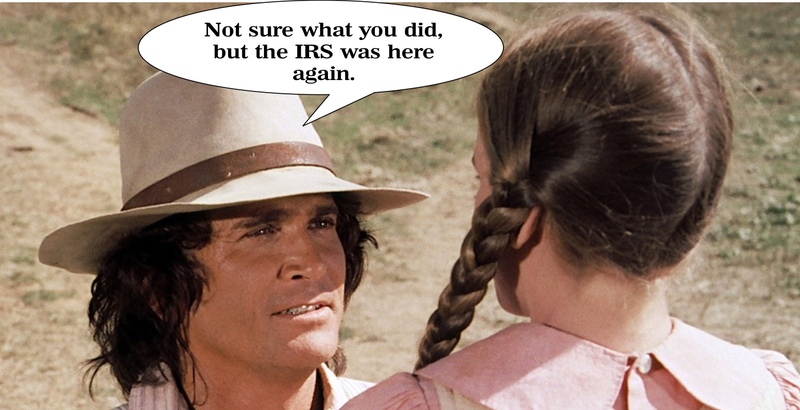 Michigan Republican Party Chairman Ronna Romney McDaniel called out Melissa Gilbert’s Congressional campaign for wrongly telling donors that they were entitled to a tax deduction based on their contribution. The confusion comes from a Facebook event for a campaign fundraiser. The criticism of the Gilbert campaign for wrongly telling donors they can take a tax deduction is the latest in a string of missteps since announcing her Congressional run. Gilbert owes more than $470,000 in back taxes to the IRS and the State of California dating back to 2005. Last week, Gilbert was also widely criticized for using the Flint water crisis to raise money for her campaign. Gilbert is an essential part of the liberal Democrat party. I wonder if that party in its current construct could even operate without imploding by offering any useful substance, honesty or proper perspective. She fits the role of failure, expresses stupidity unbecoming the office she seeks, owes the IRS, etc..
She is most certainly a ‘Shoo-in’ under the new rules of electoral superiority. Folks, we have problems in both parties. Much of it stems from internal power and the desire to keep it. But it is very real and tangible. Today’s Republicans; the ones who have crafted a path to majorities in our state and others, are opportunists and damned fine salesmen. While moderately representative of those voters who trust their product line, we usually find that the warranties of the Republican brand are seldom honored. But they talk a GREAT GAME!! Todays Democrats apparently don’t even have to try. They reject God. They see failure as an accomplishment worth rewarding. Ignorance of history is a must. The politics of envy is a virtue, and not a sin. Up is down, and wrong makes right. Meritorious achievement cannot possibly help the individual or society as a whole. "They reject God" ??? Wait a minute--didn't Madeleine Albright clearly state "There's a special place in Hell for women who don't help other women"? They must believe in God, otherwise how can they believe in Hell? Did I mention "Up is down?" MRP Chair Ronna Romney has about 11 months to restore the status of Michigan's Republican base and clean our Augean Stables. President Obama's administration has been so odious that the base of the Michigan Republican Party has been willing to quietly suffer relentless abuse delivered by Michigan's establishment Republicans. After 20 January 2017, Michigan's Republican base will have no qualms abandoning establishment Republicans to their (well deserved) fate. Money cannot buy love. Ask Jeb or Hillary. If the Republican "establishment" here in Michigan is so corrupt (feigning knowledge statewide at ALL levels/GOP districts as to poisoned kids in Flint ALL ALONG)...why haven't there been multiple (public) 'lists' of those SUPPORTING even less unthinkable denials in our LOCAL communities during this same period? It is curious that we have patriots willing to deny entry (Battle Cry) to certain "Republican establishment types"...yet no PUBLIC declaration of WHO these supportive figures actually ARE (aptly described above)...or even WHO is obviously supporting them (financially/physically) in each MiGOP district across the state. Could it be that grassroots conservatives are no different than any other 'Party' in terms of NEVER biting a hand which might possibly (some day) feed them politically or financially? If not..then why have the movers/shakers within each local MiGOP 'establishment' remained anonymous for over 7 years now? Is this 'reluctance' to force a Party one way or the other similar to parents/teachers and/or grassroots types unwilling to even fight HARD for children at their local school boards over Common Core? What IS the difference between a child poisoned due to political reluctance vs social fears (locally) involving the poisoning of their minds absolutely everywhere in the state? History will not record a "struggle" for this Party in 2016. It will record (largely) a sudden silence that has followed 7 long years of 'preparing' for a final political battle that was never (intentionally it now seems) fought. If MiGOP/liberal legislators can skate by with late initial public statements and unlimited open checkbooks (afterwards) it is no surprise that a conservative leadership accounting of what just happened (statewide/locally) is missing as well. Why would we support any conservative candidate (locally) who (now) claims to have known no more than Snyder or any other politician did..for so long? The fewer political parties that exist in a political system, the more factions you have in those parties. Republicans are fortunate today that they have only two significant factions: big government conservatives (the establishment), and Tea Partiers (small government conservatives). Libertarians sometimes enter Republican party politics, but generally have only a brief residency because of their single issue orientation. The Democrats, on the other hand, are a party now composed of many factions which are only knitted together by a desire to 'change' and 'improve' America. Most Americans can identify the more conspicuous Democratic factions, but are oblivious to the most important Democratic Party faction: government bureaucrats. All Democrats love bureaucrats, they implement the daft Democrat factions' agendas. The conflict underway in the Michigan (and national) Republican Party is centered on those government bureaucrats. Big government conservatives are entirely comfortable implementing their agenda through those government bureaucrats; Tea Partiers want to be free of bureaucrats' baleful influence. The various issues you raise are really only theaters of operations, to borrow some military parlance. Each conflict is actually over coercion of the public by maladroit bureaucrats. Sadly, Michigan leads the nation in demonstrating bureaucratic incompetence. So we are in the vanguard of this factional fight, nationwide. All politics are local and this fact has been chastised before; especially in older member tea parties where broad, meaningless mantras are popular by design. It's pretty hard to talk self-sacrifice and generational theft when you're quoting the constitution to act as if we're all in a 200+ year time warp certainly not resembled the former or (ever) justifying the latter . There is a local Michigan politician who both is and has been the single most powerful force in Michigan AND national politics today...period. Nary a word is ever (or rarely) said about the man in conservative circles due to the historic apathy surrounding his constituents (why he has the job). This is a man responsible for the single largest theft of American natural resources in history with the help of 'conservatives' all across this nation just recently. A generational theft which literally PALES in comparison to all others in terms of our children's energy future. A historic FIGHT which was NOT fought FOR our children due to political and "....bbbbut we're going to SOMEDAY change the Party!..." see-no-evil/speak-no-evil reasoning frightfully similar to what happened in Flint involving MiGOP/TeaParty feigned ignorance (ironically again) during that exact same time period. When you can't walk and chew gum (locally) you tend to concentrate on one or the other and usually neither. These (local) "theaters of operations" are often just as important or more than the carnage (see Flint) which occurs in any one theatre...and we know it.